Our team at Narellan Home Improvement Centre are specialist builders of the Stratco Pavilion alfresco pergola. Rather than going to the trouble of spending weeks and months on a traditional alfresco construction, the Stratco Pavilion alfresco range can be built in 2-5 days, depending on size. We find that the high-end architectural features of the Stratco Pavilion alfresco pergola are on trend in coastal areas. 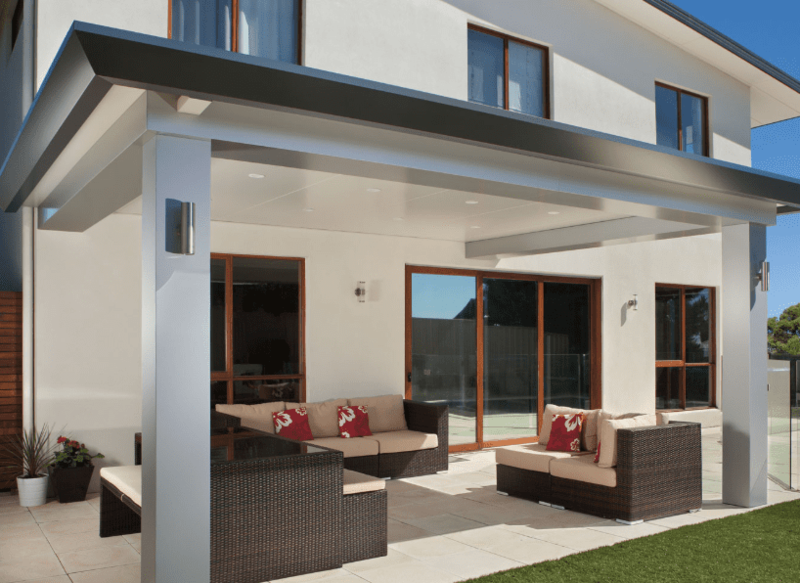 As such we are authorized Stratco Pavilion alfresco builders in the Sutherland Shire and Wollongong areas. The Stratco Pavilion Grande features bulky columns and large bulkheads, making your alfresco area an architectural statement piece. The Stratco Pavilion Alfresco range is the most premium product in the patio market. With large bulkheads and columns, your alfresco area will be sure to wow your guests. 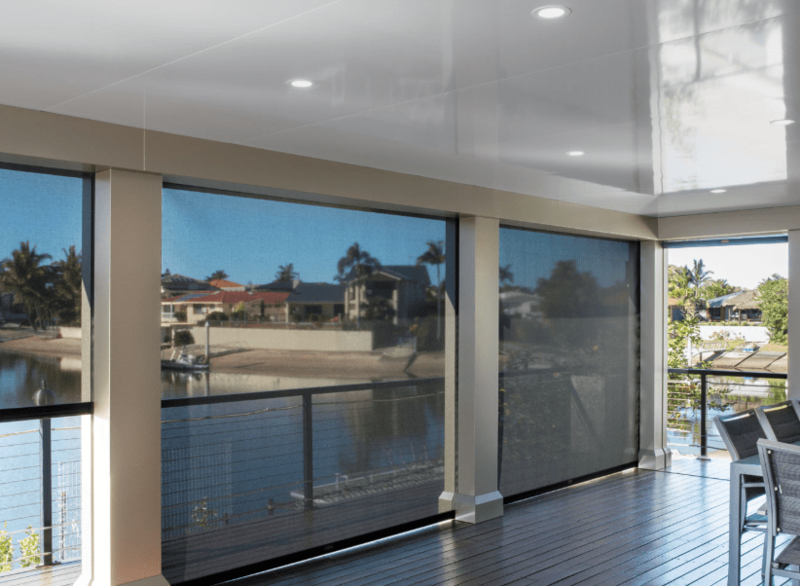 Accommodating recessed outdoor blind tracks, your Stratco Pavilion Alfresco area can be fully enclosed. The recessed system is just another fine detail that Stratco have paid attention to in the design of the Pavilion Grande. Forget about visible downpipes and standard guttering. 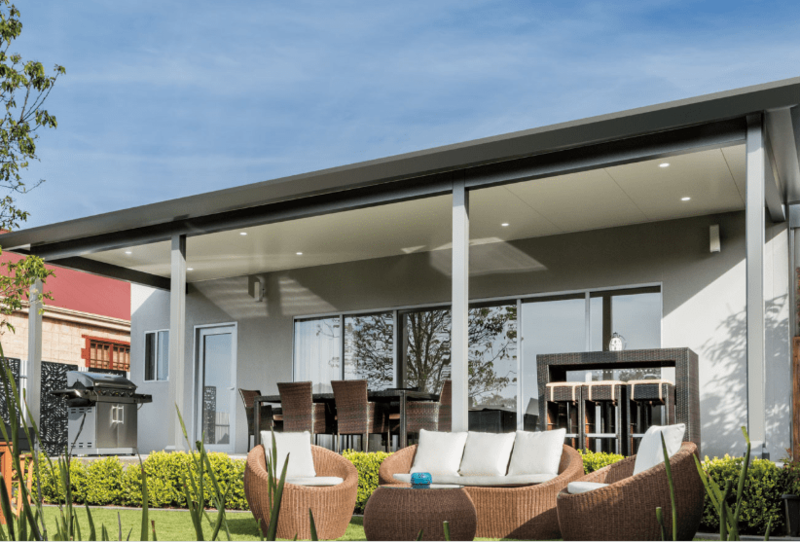 The Stratco Pavilion Grande features a concealed downpipe in the large aluminium column, as well as a stylish new ‘Edge’ gutter that looks like it is part of the alfresco area, rather than just being there to collect water. The Stratco Pavilion Slique features slimmer, more subtle columns and and bulkheads while still maintaining the high-end finish of the Pavilion Grande. 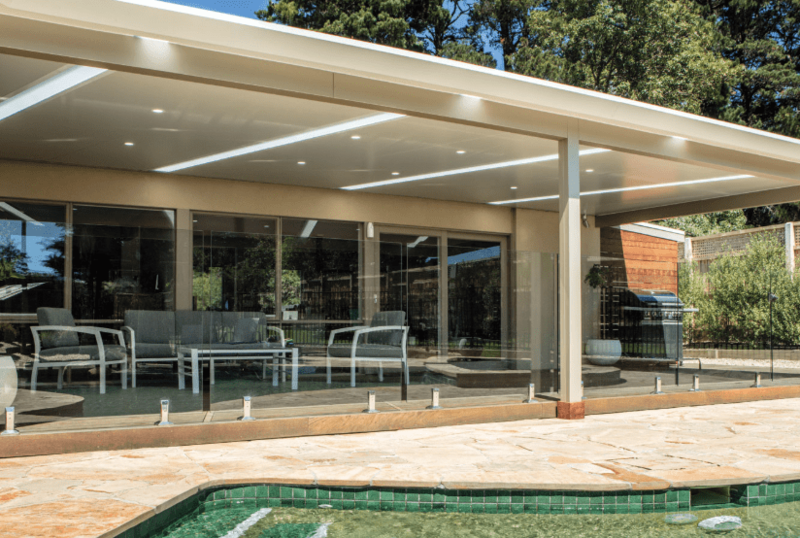 Like the Grande, the Stratco Pavilion Slique accommodates downlights, fans, heaters and speakers within the insulated roof panels, allowing you to entertain all year round. 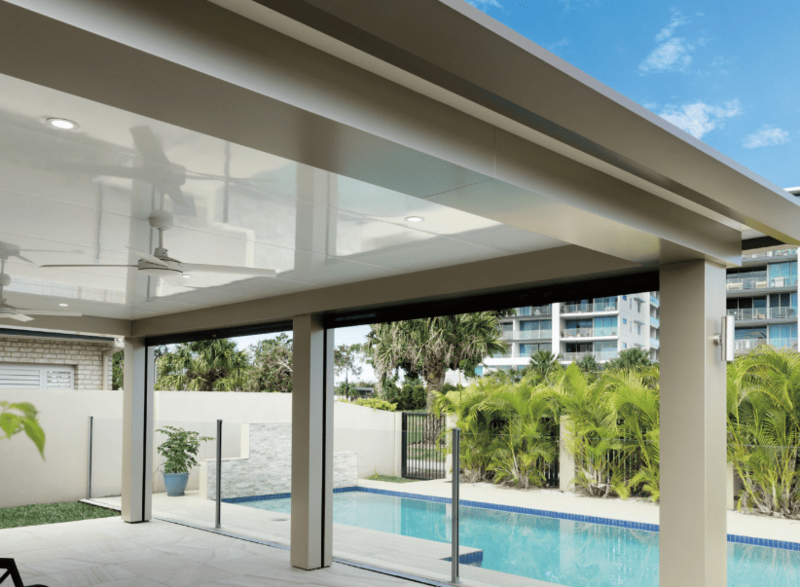 The premium aluminium of the Stratco Pavlion Slique alfresco columns and bulkheads is great by the pool and coastal areas. The insulated roof panels can also accommodate skylight strips for additional ambient light below you alfresco entertaining area.